I was initially attracted to this book by the beautiful cover art, who doesn’t love black and white photography after all and I have a thing for braids. It’s the frustrated hairdresser in me I suppose. More so, I think we all entertain in our deepest thoughts the idea of just walking away one day which is what Camryn Bennett does in The Edge of Never. Camryn is just going through the motions at the beginning of the story, her boyfriend had been tragically killed months earlier, her brother is serving time for a DUI charge and her mother is distracted by a new love affair. When her best friend’s boyfriend attacks a suitor and drunkenly confesses his love for her something breaks in Camryn and she packs a bag setting out for the bus station. En route she meets Andrew Parrish who inspires Camryn to live life in a way she never imagined. I enjoyed the development of the relationship between Andrew and Camryn until the ending which seemed rushed and somewhat implausible. 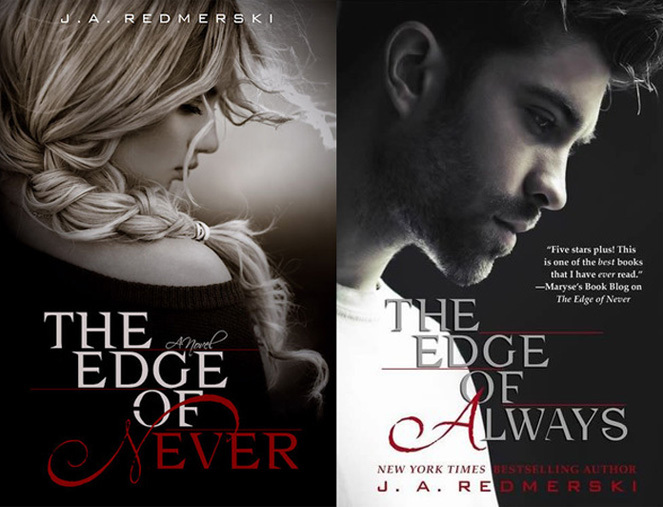 That being said I felt that way until I found out there was a sequel in the works The Edge of Always will be available in November. This is a case where I feel that a continuation of the story would benefit the whole rather than leaving on a high note which is unfortunately done so infrequently these days.